Charlotte María Sáenz is a contributor to Foreign Policy In Focus. She teaches Global Studies at the California Institute of Integral Studies in San Francisco. A longer version of this piece originally appeared at Other Worlds. 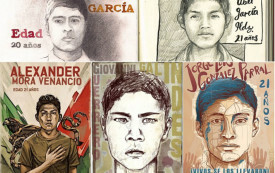 With forty-three disappeared student teachers presumed dead, Mexican popular resistance is creating new alternatives to the militarized narco-state.